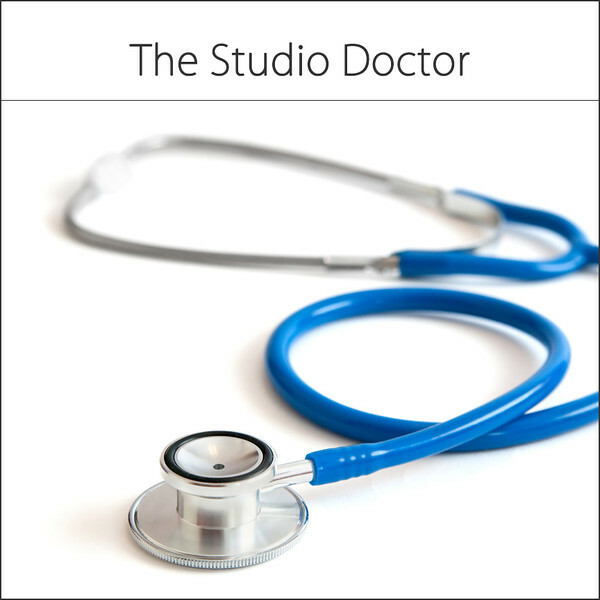 Location - Your Studio or Home Location. This is a bespoke service and an agenda will be drawn up prior to the visit which is agreed on by both parties. "What a wonderful week so far. On Monday I received notification that I've got my LSWPP. Tuesday another great business class. Today (Wednesday) I've just done a portrait viewing and achieved my highest ever sale from a portrait session - £1300. My head is still buzzing. As some of you will know I've been (slowly) implementing all the stuff I've learnt as well as changing company name/website/brochures/prices etc. and all things that go with it (it's never ending!). 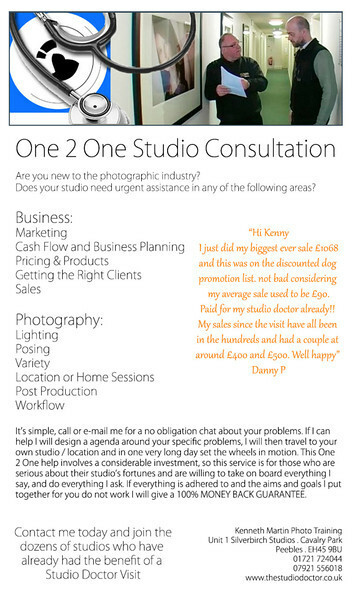 Before all that my average portrait sale was £150 - this stuff really works!!" "I am finding this value chain thing does work. Had a nice £600 order from a pet shoot today. I went through everything before they came in, after the shoot I also showed frames and discussed 'prices from' and gave a full price list. Then again today I explained how it all works and what each item is like and again, gave a price list. Bingo... 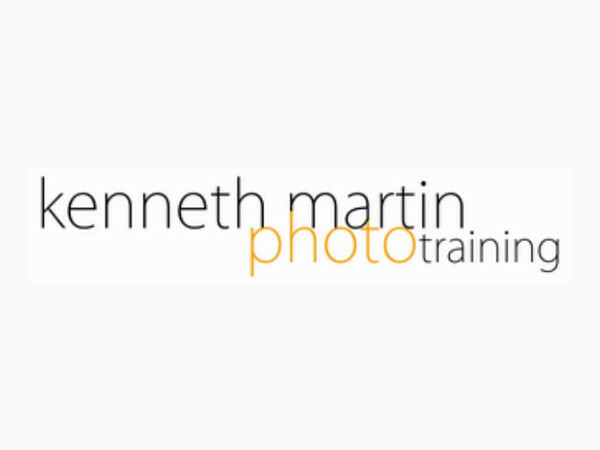 Thanks Kenny for all the help"
"Well, I just had my first viewing session where I fully implemented everything learned from the Business Class and workshops / 1-to-1 with Kenny - and delighted to report that the total sale was over £1200, my highest ever by a factor of 5. They had teary eyes from picture 1 of the Animoto, loved the Animoto, and had a really hard job selecting, so I guess it made the sales part a bit easier for me. Am unbelievably chuffed - and relieved. Particularly as I'd watched Kenny's section on sales in the March download less than 12 hours before the viewing! All in all, a really good day, so cheers Kenneth Martin and Mark Cleghorn for all the many pearls of wisdom, and thanks too to all of you on here who have shared info and experience. It's been a massive confidence booster, and to any of you who doubt whether you can achieve it I'd just say if I can do it, so can you...I'm not a natural salesman at all. I really just made sure I was pleasant, confident, stuck to my prices, and thought on my feet. I just need to keep repeating it now, and achieve a decent average....! Now need to wait for the banks to reopen so that I can get the cheque in!"